Nathaniel Hawthorne, the son of a sea captain, was born in Salem, Massachusetts, in 1804. His father died of yellow fever four years later. He attended Bowdoin College in Maine but after graduating he returned to Salem where he hoped to establish himself as a writer. Hawthorne published a novel, Fanshawe, in 1828. He also produced a series of short stories based on historical events. These were eventually collected together and appeared in Twice Told Tales (1837). He also worked as editor of The American Magazine of Useful and Entertaining Knowledge. This included articles about Native Americans including the capture of Hannah Duston. Hawthorne's books sold poorly and he was forced to find work as the surveyor of the Boston Custom House. He continued to write and in 1850 published the highly successful, The Scarlet Letter. 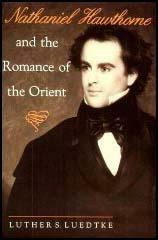 When Franklin Pierce became president he appointed Hawthorne as US consul in Liverpool. After a four year stay in England he moved to Italy. He also lived for a while in France. Other books by Hawthorne include The House of the Seven Gables (1851), The Blithedale Romance (1852), The Mable Faun (1860) and Our Old Home (1863). 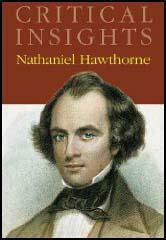 Nathaniel Hawthorne died in 1864. After his death his wife edited and published his notebooks, Passages from the American Notebooks (1868), Passages from the English Notebooks (1870) Passages from the French and Italian Notebooks (1871). Goodman Duston and his wife, somewhat less than a century and a half ago, dwelt in Haverhill, at that time a small frontier settlement in the province of Massachusetts Bay. They had already added seven children to the King's liege subjects in America; and Mrs. Duston about a week before the period of our narrative, had blessed her husband with an eighth. One day in March, 1698, when Mr. Duston had gone forth about his ordinary business, there fell out an event, which had nearly left him a childless man, and a widower besides. An Indian war party, after traversing the trackless forest all the way from Canada, broke in upon their remote and defenceless town. Goodman Duston heard the war whoop and alarm, and, being on horseback, immediately set off full speed to look after the safety of his family. As he dashed along, he beheld dark wreaths of smoke eddying from the roofs of several dwellings near the road side; while the groans of dying men, - the shrieks of affrighted women, and the screams of children, pierced his ear, all mingled with the horrid yell of the raging savages. The poor man trembled yet spurred on so much the faster, dreading that he should find his own cottage in a blaze, his wife murdered in her bed, and his little ones tossed into the flames. But, drawing near the door, he saw his seven elder children, of all ages between two years and seventeen, issuing out together, and running down the road to meet him. The rather only bade them make the best of their way to the nearest garrison, and, without a moment's pause, flung himself from his horse, and rushed into Mrs. Duston's bedchamber.